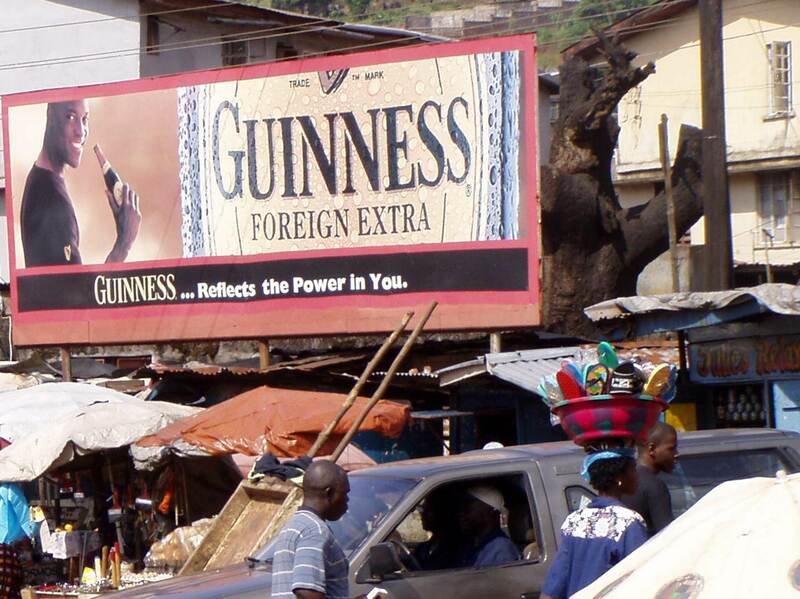 Alcohol is the fifth largest health risk factor globally and risk factor number one in parts of Sub-Saharan Africa. 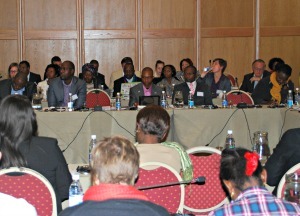 UNDP/WHO workshop in Namibia, June 2014. The WHO Global Strategy to Reduce the Harmful Use of Alcohol. The Global Status Report on Alcohol and Health. 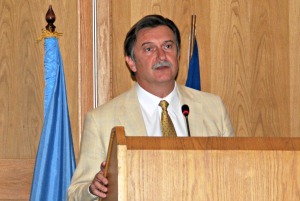 At a WHO/UNDP workshop in Namibia early June Dr. Vladimir Poznyak, Coordinator for Management of Substance Abuse in the World Health Organization, held a keynote speech on the global alcohol situation. His presentation was based on the latest research data from the field, including the Global Status Report on Alcohol and Health published only a few weeks earlier. Dr. Poznyak opened his presentation by drawing up a broad understanding of the concept alcohol-related harm. While the international diagnosis system ICD-10 defines harmful use of alcohol as “a pattern of alcohol use that is causing damage to health…”, the WHO Global Strategy to Reduce the Harmful Use of Alcohol takes a much more comprehensive approach: " the concept of the harmful use of alcohol is broad and encompasses the drinking that causes detrimental health and social consequences for the drinker, the people around the drinker and society at large, as well as the patterns of drinking that are associated with increased risk of adverse health outcomes." He pointed to the term “harm to others”, which now emerges as an important aspect of the alcohol problem and an approach which brings gender-based violence and the spread of HIV/AIDS to the core of alcohol policy discussions. The topic of the workshop in Nambia, organised by WHO and the United Nations Development Program (UNDP), was to explore how to link and integrate national policies and programmes addressing gender-based violence, harmful use of alcohol and HIV prevention, treatment and care. More than sixty participants attended the workshop in Windhoek, which marked the start of an 18 months pilot project under the leadership of WHO and UNDP. In his presentation Dr. Poznyak gave a brief account of alcohol consumption figures from the Global Status Report. In particular he discussed the figures showing the proportion of non-drinkers in the world, figures which may come as a surprise to many Western readers. “We tend to believe that ‘everybody is drinking’, but that is far from reality”, claimed Dr. Poznyak. “Even if alcohol drinking is deeply embedded in many cultures, the statistics show that 62 % of the wold’s adult population did not take any alcohol the last 12 months. 48 % of the world population have not been drinking alcohol at any point in life. From a health point of view it must therefore be an important aim for alcohol policies to prevent any rapid changes in the non-drinking populations”, concluded Dr. Poznyak. At the same time he reminded the audience from eight African countries that among those who do take alcohol, many have a high consumption and risky drinking patterns. This is not the least the case in the Sub-Saharan region, which was the focus of discussions at the workshop in Namibia. Dr. Poznyak also underlined that the connections between alcohol use, violence, risky sexual behaviour, HIV/AIDS etc. are very complex. Some connections are causal while others are strongly associated. While we are waiting for more research there are many good reasons to discuss how these connections can be addressed by policies and programmes. 3.3 million deaths are attributable to alcohol consumption globally. This is 5.9% of deaths in all age groups, 7.6% for men and 4.0% for women. 139 million DALYs are lost every year due to alcohol (DALY: Disability Adjusted Life Years). This means that alcohol accounts for 5.1% of the global burden of disease. It is estimated that 1.37 million persons die every year because of violence. 20% of these deaths are caused by harmful use of alcohol. “The alcohol industry has pointed out Africa as an extremely promising market”, said the Coordinator for Management of Substance Abuse at the WHO headquarters in Geneva. This constitutes a great risk for increasing health and social problems, since existing alcohol policy frameworks in many African countries are weak or non-existent. This picture was strongly confirmed by country reports from the countries present in the workshop; Botswana, The Democratic Republic of Congo, Guinea Bissau, Liberia, Sierra Leone, Zambia, Malawi, Zimbabwe and the host country Namibia. Many countries said, however, that new policies are in the pipeline, waiting for approval by the authoritative body in the respective countries. It was also reported by all countries that enforcement of existing laws and regulations on the sale of alcohol are poorly enforced. Dr. Poznyak referred to the fact that effective alcohol interventions often are not very popular, neither among politician nor in the general population. “Strong advocacy voices are therefore needed”, was the appeal to the participants from Dr. Poznyak. He also underlined the WHO policy that vested interests should not have a place at the table when alcohol policies are developed, as such policies should only aim to protect public health and welfare.